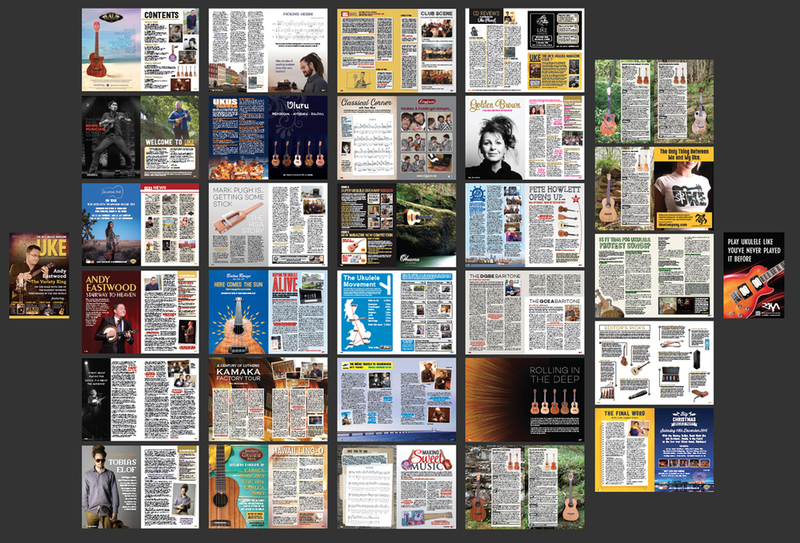 Issue 6 features a man with a claim to be the hardest working ukulele player in the UK, Andy Eastwood. Having been brought up with the music of George Formby, he fell in love with the world of variety, and now performs over 200 gigs a year in theatres, seaside resorts and accompanying acts like Ken Dodd. 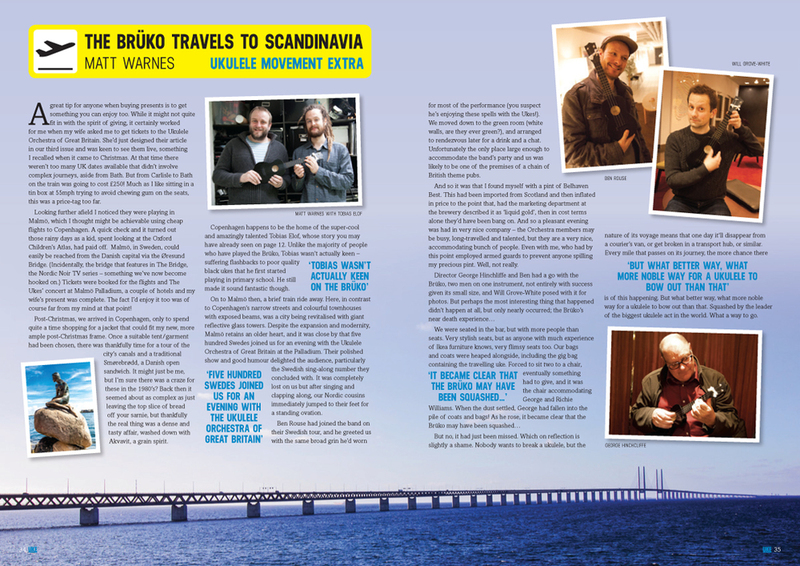 We also have an interview with Sam Brown, who has gone from selling 2.5 million albums to embracing the community side of the ukulele to a great height, running several clubs. We also meet up with the super-talented Tobias Elof from Denmark, a country that hasn't exactly embraced the uk - giving him plenty of challenges to get to the top of his game. 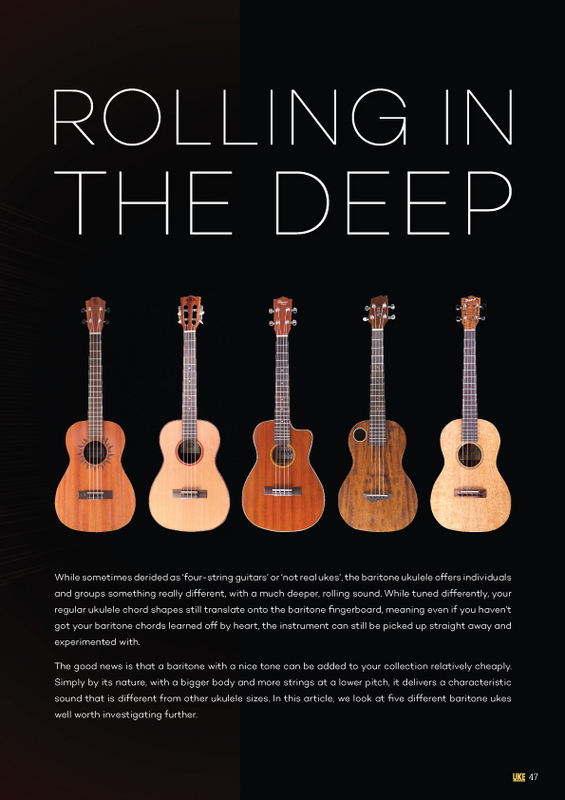 With the famous Kamaka brand turning 100 this year, we've an article on what it is like to tour their Hawaiian factory, as well as a guide to Hawaiian musical terms. 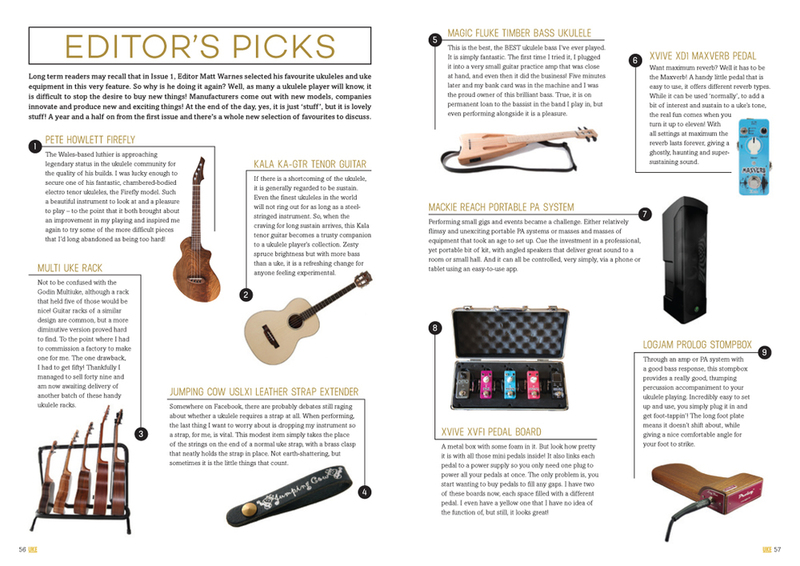 There's a big gear review section on the baritone ukulele, ukulele news, Pete Howlett, Nick Cody on protest songs, the story of Risa ukuleles and a whole host of other features, both regulars and new. tells us his story, his views on George Formby and much more. Responsible for several uke groups, Sam talks about how she turned increasingly to the ukulele after losing her voice. The interview is bound to have you watching her biggest hit, “Stop!”, on YouTube too! 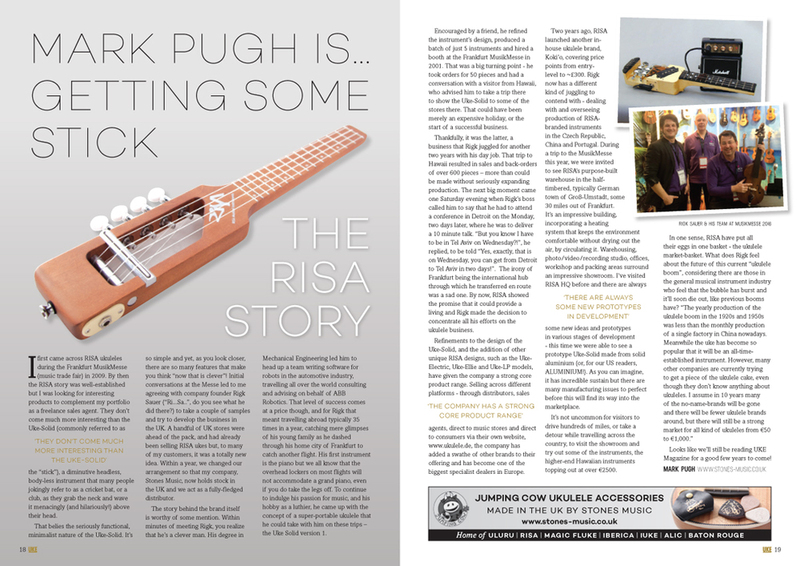 The Danish virtuoso tells UKE Magazine about his struggles to perfect his art on an instrument that has failed to take his native country by storm.